Dog and cat ear infections are one of the most common medical conditions treated by veterinarians. They are relatively easy to treat yet cause a tremendous amount of pain for the animal. Many of us have had ear infections when we were little kids and remember how painful they were making sleep almost impossible. There is one huge difference between human and animal anatomy. People just have a horizontal ear canal and that is it. It is a canal that goes straight to the tympanic membrane and beyond. Dogs and cats have both a VERTICAL and HORIZONTAL ear canal. If you look in a pet’s ear you will see a canal that goes straight down (vertical) and another that bends towards the middle ear (horizontal). The combination of two canals is one reason why dog and cat ear infections are so common. Read on. Dog ear infections are worse in those animals that have: floppy ears, lots of ear hair and a prominent amount of ear wax (cerumen) present. Many of these traits are genetic. The worst of the worst ear infections are seen in Cocker and Springer Spaniels closely followed by all the retrievers. Spaniel dogs produce extreme amounts of ear wax that combine with ear hairs to produce a gooey mess that attracts bacterial and yeast growth. The bottom line cause of most ear infections is impeded air flow in the ears and a humid, moist ear canal environment. All retrievers are water dogs and get swimmers ear just like people do. In my Ohio practice I used to say that the only time a retriever wouldn’t go in a pond was when it was frozen! So what grows in a moist ear environment? The two biggest causes of dog and cat ear infections are caused by bacteria and yeast. Both of these organisms avidly reproduce in moist, warm conditions. There are many types of bacteria that can cause infections but one of the worst is Pseudomanas sp. You do not want that bug anywhere on you but it is a common cause of ear and urinary tract infections in man and his companion animals. There is another big difference between pets and people. Most pets do not wear shoes. Many dogs and cats will scratch at their ears out of habit. Dogs will carry coliform bacteria (from defecating) on their pads and nails and introduce them into their ear canals. This causes big problems. Whenever you get bacteria growing in a place where they are not normally found- watch out! Yeast infections are usually secondary to a bacterial problem and produce a typical “sweet” ear smell. The most common cause of ear infections in cats is ear mites. These are little bugs picked up by direct contact with an infected cat. They make a beeline to the ears where they set up shop. In advanced cases their teeth parts can puncture the cat’s tympanic membrane causing hearing loss and pain. Other less common causes of dog and cat ear infections are: food allergies, atopic dermatitis or secondary to many immune deficiency diseases that make it easy for bacteria to grow. It is extremely important that pet owners seek medical care for any problem with the ears. Ear health, like dental health is often a general mirror into a pet’s overall health. Ear infections can be caused by other medical problems so an earlier diagnosis is better for the animal. HOW DO I KNOW IF MY PET HAS AN EAR INFECTION? Many pet owners discover that something is wrong when they smell something “pretty funky” or the animal cries out while the head is stroked. Cats with ear mites will always scratch at their ears and you will often see hair loss and self mutilation of skin around the ears. Mites irritate and the only response a cat has is to scratch at the ears. Take a look inside the cat’s ears. If you see a dark, waxy mess it is probably due to ear mites. Pets will also just stand around and shake their heads throughout the day. This head shaking has to eventually stop. If it does not the dog or cat will often develop an auricular (ear) hematoma. These are always surgically corrected. Before dog and cat ear infections can be treated it has to be diagnosed and determined whether the problem is mainly in the ears or is the ear problem secondary to a general issue like a food allergy. A medical history is very helpful to the veterinarian so try to remember anything associated with the problem. 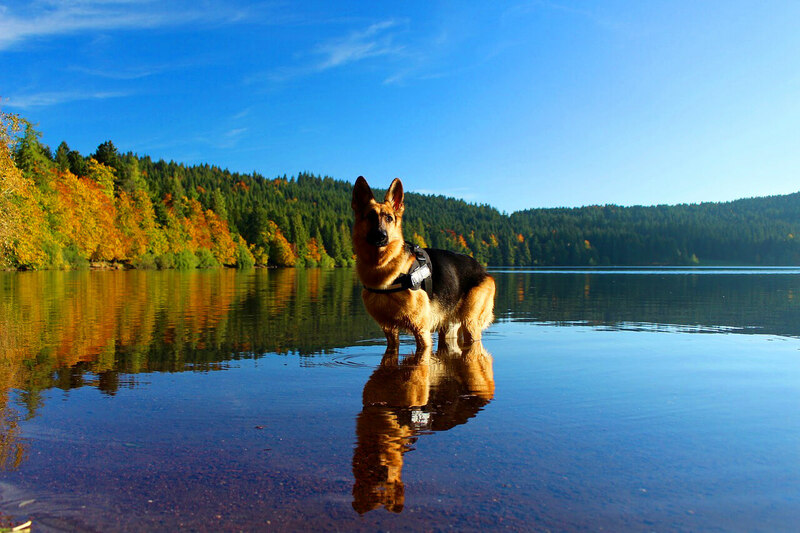 Did you visit a local pond with your dog? Did you change your pet’s diet recently? Have you noticed fleas on your pet? Questions like these are very useful in performing rule outs. 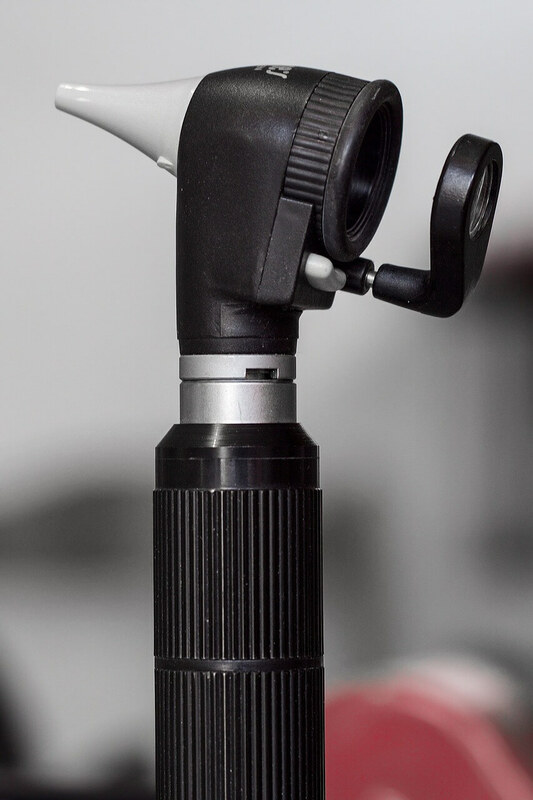 The important part of the exam is doing a otoscopic exam of the ears using an otoscope. This allows doctors to visualize the entire external ear canal close up with a lot of light. This makes it easy to spot infections or ear mites. Veterinarians can easily see the tiny white ear mites against the dark, waxy ear background. Many times I have taken a sample and put it under a microscope to show clients what they are up against. Depending on the case in front of me I would often culture the ear to determine the best antibiotics that would knock the infection. There would often be a mixed infection. That means that there were different bacteria and or yeast present in the same infection. Some of those bugs would respond to certain antibiotics while others would not. That is why culture and sensitivity is one of the best ways to accurately diagnose an ear infection. When you know what you are dealing with it is much easier to get rid of. Ear infections are treated by getting rid of the originating cause. If the cause is bacterial topical and or oral antibiotics are employed for several weeks. Some topical products contain a steroid that helps to decrease inflammation and discomfort. If the cause is yeast many dogs are put on oral anti-fungal drugs such as ketoconazole. If the animal has a food allergy an appropriate diet is fed so that the offending protein is eliminated from the diet. Many of these treatments require reevaluation every 2-3 weeks or so. Ear mites in cats are easy to get rid of. Topical products such as Tresaderm® or Acarexx® work well. Both are prescription products. One of my favorite tricks is to have the owner put a drop of either product on the tip of the cat’s tail in addition to treating the ears. That prevents re-infestation from another animal. Many animals have such a severe inflammatory response with excess wax that they need to have their ears flushed and cleaned under a sedative. This strips away all the dead cells and wax so that topical treatments can work better. Treating dog and cat ear infections this way gets them off to a good start. Keeping retrievers from entering any type of water is nearly impossible. The best compromise is to use a swimmer’s ear astringent right after the animal gets out of the water. Astringents are great and are the choice for preventing the majority of future dog and cat ear infections. They help to maintain an acidic environment in the ear which decreases bacterial growth and keeps the ear canal dry. Most of them also help to decrease wax accumulation. 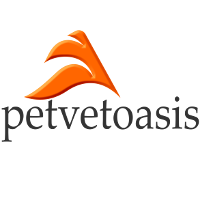 An excellent product for dogs and cats is Epi-Otic® Advanced. For cats- stay away from ANY ear cleaners that contain salicylates! Salicylate is a close cousin to aspirin which is toxic to cats. Check all labels and make sure the product is labelled for cats! The Maltese shown in the slide show above has frequent ear infections due to excessive hair growth inside the ear canal. Other dogs with this problem are: Poodles, Miniature Schnauzers, Shih-Tzu, Lhasa Apso among others. This hair is plucked just like you would a chicken! If you do not want to do it have your groomer do the job. It will facilitate air circulation and help prevent external ear infections. Always keep your dog or cat on flea preventive products. Controlling fleas on your pets is one of the best ways of preventing ear infections secondary to the flea bite allergy.